E-Alert: June 2014 'Salvage' logging bill would worsen damage! 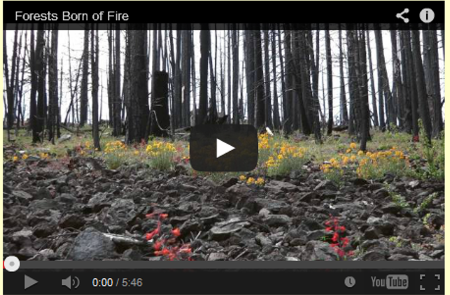 Rim Fire recovery endangered by 'salvage' plan! Support habitat recovery: keep loggers out! Congressman Tom McClintock's plan to "salvage" thousands of acres of forest left in the wake of last fall's vast Rim Fire would destroy natural wildlife habitat across more than 400 square miles of forest in and around Yosemite National Park. McClintock (R-Elk Grove) has introduced a bill to commercially log some 257,000 acres of Yosemite National Park and Stanislaus National Forest. "Within a year the trees lose much of their value and soon thereafter become worthless", he said. But "worthless" the trees are not to native species recovering from the fire! Forest ecologists argue that we should leave those trees where they stand or lie. However badly scarred, the trees serve as crucial habitat for regenerating native species. McClintock wants to open burned-over public lands to timber companies, who would reap a bonanza of cheap timber with few or no environmental rules governing its extraction. Private landowner Sierra Pacific Industries (SPI) has already "salvaged" 60 percent of the burned trees on its private holdings. Contrary to a myth long circulated by the timber industry, salvage logging does not mimic natural fire, which leaves the affected trees' nutrient capital behind to be recycled in the forest ecosystem. If McClintock were advocating the use of all the Rim Fire timber to create U.S. jobs, he might at least have that argument in his favor. But MDI Forest Products, an Oakland-based timber and lumber exporter, has been shipping stacks of Rim Fire logs to lumber mills in China. Please contact your Congressional representative and ask her or him to oppose H.R. 3188, the "Rim Fire Emergency Salvage Act." Tell them California's native species need the trees to recover! 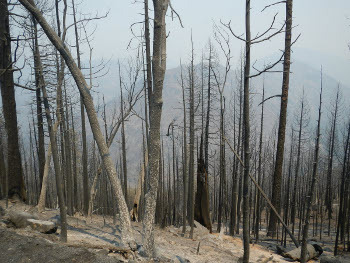 Wuerthner: Revisiting Fire History Studies A New Century of Forest Planning, July 23, 2013. 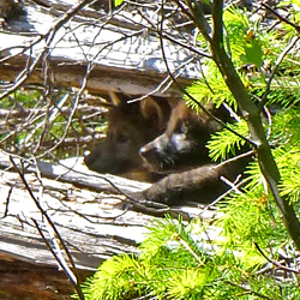 In March and again in June we urged you to write and call the California Fish and Game Commission in support of listing the Gray Wolf as an endangered species in the state. Your voices were heard in Sacramento! OR7 and his pups (pictured at right) will be afforded safe haven here whenever they decide to visit or move here permanently! Keep abreast of our campaigns and read news gathered from around California relating to protecting the state's forests! FORESTS FOREVER Launches New Web Site! Our new homepage features an updated design with a simpler, cleaner look, handy drop-down menus, and faster loading times! Click here.